Patsy Lynch is a native Washingtonian. "As a journalist, I make it clear that if I'm working, I don't have an opinion. I have an opinion with my camera. I can use that as an instrument for change." "I've never not been out, I'm just so comfortable with who I am, I just never thought about and it was never an issue." 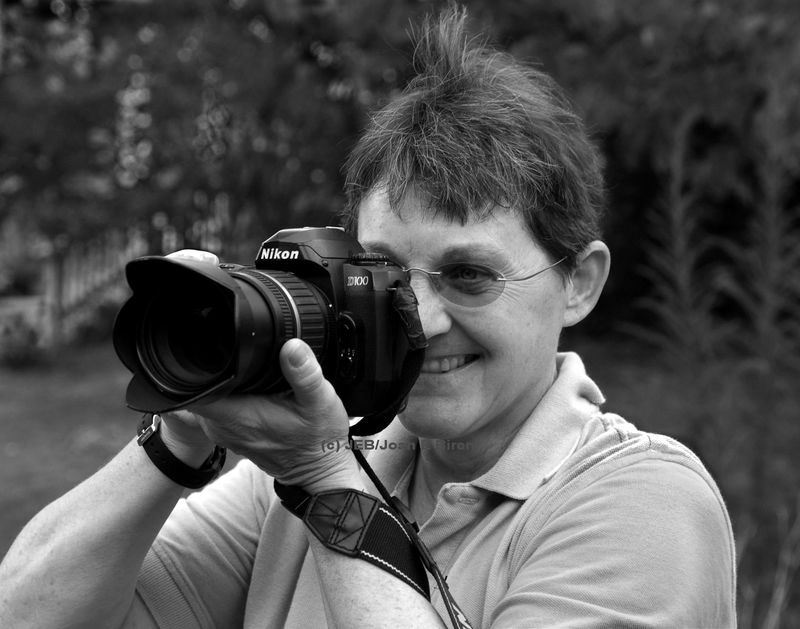 Patsy Lynch and her cameras have documented more than thirty years of local and national history in the gay, lesbian, bisexual and transgendered community. She seems to have been everywhere and to have known everyone. Her strong sense of history and empathy with people underlies her commitment to wide-ranging and fair coverage of events, people and issues. Lynch continues to be extremely generous in sharing her images as widely as possible. Her career, mentored by her friend JEB, began in the 1970s when she worked freelance for off our backs as both a print and photojournalist. Lynch created a parallel career in photography while earning degrees in counseling and working at social agencies. At the 1979 Lesbian and Gay March on Washington she was one of four official photographers. Since then she has covered nearly every major event in our history from protests at the White House, FDA, political conventions, to Sisterfire, women's music, annual Prides. She recalls the anger and fury of AIDS demonstration, especially during the years from 1988 to 1993. In the 70s and 80s she worked for the Advocate and UPI and became the first 'out' journalist credentialed at the White House. She recalls the harassment and jokes directed at her, more because she was a woman than because she was a lesbian, by the 'old boys' network. Lynch became a founding member of the Washington DC chapter of the National Lesbian and Gay Journalist's Association. Lynch photographed the city's first Black Pride in 1991 and remembers the difficulty convincing media to use her images. “I had to push people to care. I said, "You know this is history, but more importantly we've got a community and you've got to deal with it."